Choosing the right home inspector can be difficult. Some company information about me and what I can do for you! Hi my name is Scott May and unlike most professionals, you probably will not get to meet me until after you hire me for your home inspection. I am passionate about my work and conscientious of the home buyer or seller`s investments. I didn’t like what I saw in this industry and found out I was not alone. With two other inspectors together we founded Ontarioachi.ca in the hopes of serving consumers better with a certification that is trusted across Canada. 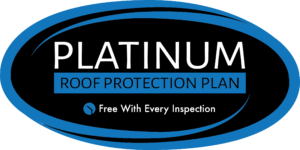 Different inspectors have varying qualifications, equipment, experience, reporting methods, home inspection methods and, yes different pricing. One thing for sure is that a home inspection requires work — a lot of work. Ultimately, a thorough inspection depends heavily on the individual inspector’s own effort, experience and education. If you honour me by permitting me to inspect your new home, I guarantee that I will give you my very best effort. This, I promise you. 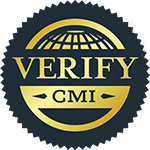 Our visual home inspection is intended to give you an “overall general condition” of the building and its main components. We pledge to fulfill this to the best of our abilities. Keep in mind; it is virtually impossible to catch every defect of an entire house in a 3-4 hour inspection. 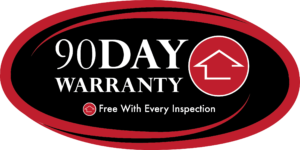 I have heard many stories of 45 – 90 minute inspections, not so when choosing Eyespy Home Inspections. A home inspection is not protection against future failures. Components like air conditioners and heat systems can and will break down. A home inspection tells you the condition of the component at the time the component was inspected. For protection from future failure you may want to consider a home warranty. Your inspection is not an appraisal that determines the value of a home, nor will a home inspector tell you if you should buy this home or what to pay for this home. is a visual inspection of the structure and components of a home to find items that are not performing correctly or items that are unsafe. If a problem or a symptom of a problem is found the home inspector will include a description of the problem in a written report and may recommend further evaluation. Home Buyers: Emotion often affects the buyer and makes it hard to imagine any problems with their new home. A buyer needs an inspection to find out all the problems possible with the home before moving in. Home Sellers: More and more sellers are choosing to have a thorough inspection before or when they first list their home. First and foremost, you should have a home inspection for full disclosure. You will have demonstrated that you did all you could do to reveal any defects within the home. Second, you will save money and the hassle by knowing what, if any the defects are at that time. You want to avoid issues with selling after you have already negotiated a price. You could be faced with costly repairs discovered on the buyers inspection. Defects found before the buyer comes along, allows you to shop around for a contractor. All homes (even new construction) have problems. Every problem has a solution. Solutions vary from a simple fix of the component to adjusting the purchase price. Having a home inspection allows the problem to be addressed before the sales closes. A home inspector’s report will review the condition of the home’s heating system, central air conditioning system (temperature permitting), interior plumbing and electrical systems; the roof, attic, and visible insulation; walls, ceilings, floors, windows and doors; the foundation, basement, and visible structure. Many inspectors will also offer additional services not included in a typical home inspection. Tests like mold, septic, radon, well, WETT, Infrared thermography and water testing. Acton, Burlington,Cambridge,Durham, Elora, Fergus,Georgetown, Hamilton, Guelph, Hamilton, Kitchener, Milton, Mississauga, ,Oakville, Orangeville, Owen Sound, Rockwood, Waterloo and surrounding areas. How to choose a home inspector!